Zanasi & Partners | Zanasi, A., & Artioli, M. (2009). Automatic surveillance systems against security threats. Zanasi & Partners / Publications / Articles / Zanasi, A., & Artioli, M. (2009). 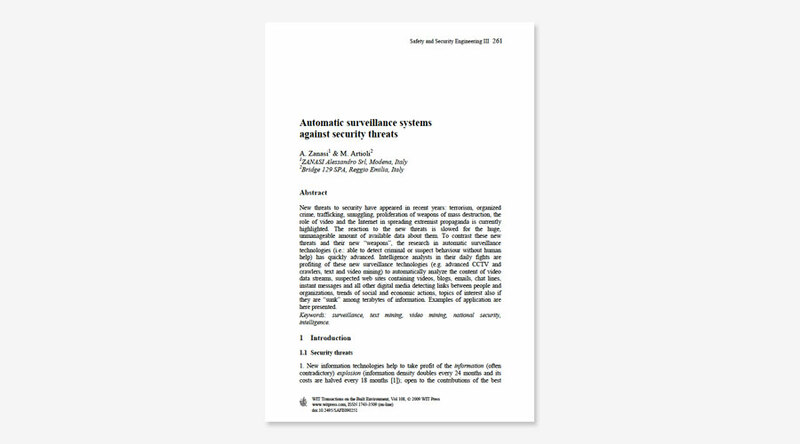 Automatic surveillance systems against security threats. WIT Transactions on the Built Environment, 108, 261–272.